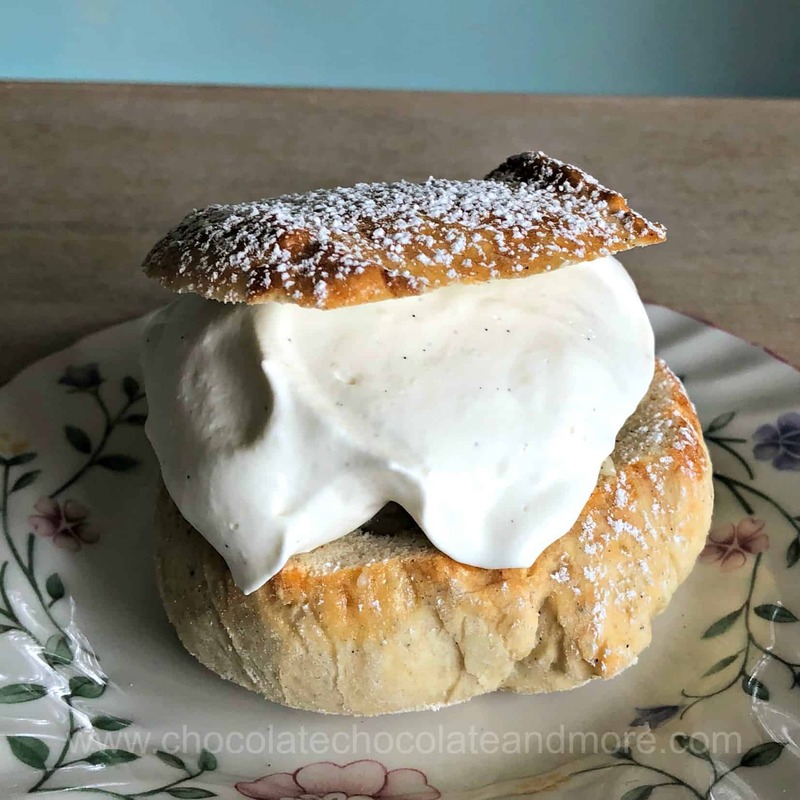 Almond Semlor - Chocolate Chocolate and More! 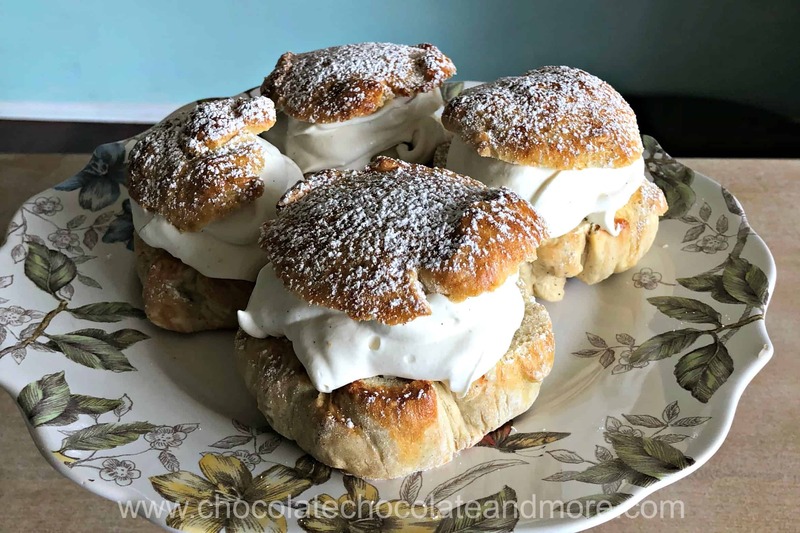 Almond Semlor are a decadent sweet that Swedes make just before Lent. These cardamom yeast rolls filled with marzipan cream and topped with fresh whipped cream are sinfully delicious. Helle is my Danish friend. We’ve never met in person but we’ve been friends on Facebook for years. She is beautiful, witty, and insightful. She also loves a good dessert and some of her dessert photos are absolutely droolworthy. This week was her mother’s 85th birthday. I don’t know what is in Danish water but her mom looks fantastic! Helle bought some pistachio and almond Semlor to share with her mom and posted the photos on Facebook. One look and I was sold. She graciously sent me a recipe. It took two batches to work out the kinks but no one around here is complaining. 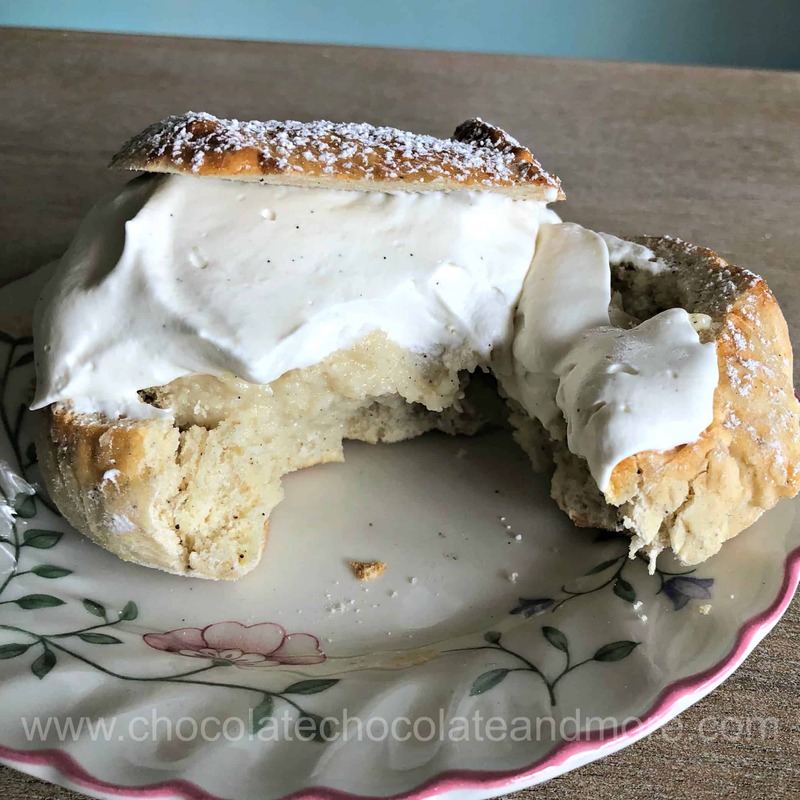 You wouldn’t think a yeast roll would be the basis for an amazing dessert. Semlor start with slightly sweet, cardamom yeast rolls (which, by the way, are delicious by themselves). After you bake them, you slice off the tops (similar to making eclairs) and then use a spoon to scoop out the insides. Now this part makes less sense but trust me, it works. You mix the scooped out bread with some vanilla pastry cream and marzipan to get a soft paste. Then you put the paste back into the rolls. You can barely see the marzipan paste in this photo because it blends in the with bun. The last step is to make lightly sweetened, fresh whipped cream. I used vanilla bean paste to give my whipped cream pretty little specs and fantastic flavor. Spoon the whipped cream on top and then put the tops of the rolls back on. Then dust with powdered sugar. Now you have a dessert fit for a king. 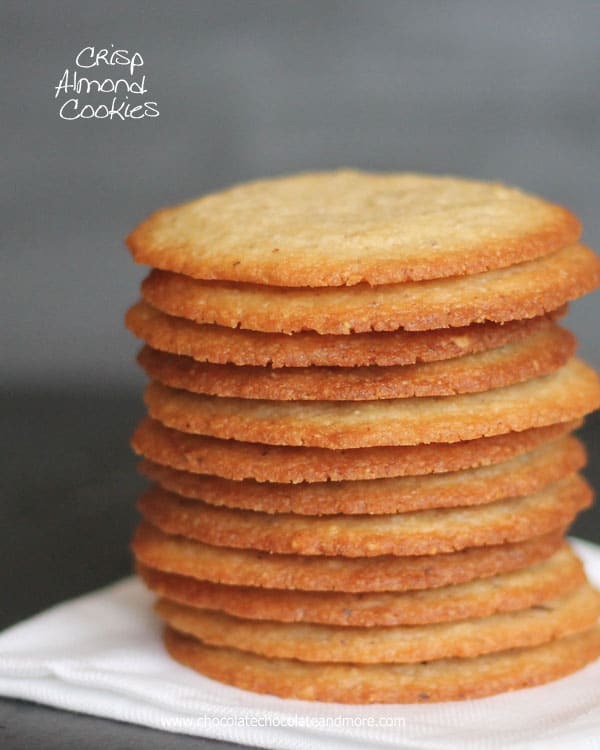 Almond Semlor are very popular in Scandinavia. In fact, they are so popular that Swedish King Adolf Fredrik died from eating too many of these. Bakeries caution customers to eat in moderation. To keep you from overindulging, this recipe only makes a dozen large rolls. I hope you enjoy these pre-lenten treats. They’re a bit of effort but they’re worth it! Add yeast to milk and let sit until frothy (about 10 minutes). In the bowl of a stand mixer, mix butter, sugar, cardamom, salt, baking powder, 1/2 of the beaten egg and 2 cups flour. Gradually mix in most of the remaining flour until the dough starts to form a ball. Use a dough hook to mix in the last part of the flour and then turn your mixer on medium high and knead for 5 minutes. Cover the bowl with a moist towel and let rise until doubled (1 1/2 hours in my kitchen). Knead lightly and divide dough into 12 equal balls. Place on a cookie sheet and cover with the damp towel. Let rise 30 minutes. Brush tops with the remaining beaten egg and bake at 400°F for 10 minutes (top should be golden). Cover with a damp towel to keep the tops soft and let cool completely. Make this while the bread rises or cools to save some time. Put milk and sugar in a saucepan and heat until scalding hot. Beat eggs and cornstarch together until smooth. Slowly pour about 1/3 of the hot milk over the beaten eggs whisking vigorously while you add the milk. Pour the mixture back into the pan and heat on medium until very thick. Remove from heat and add the vanilla and butter. If your pastry cream is lumpy, you can put it through a sieve to remove the lumps. Cover with plastic wrap that touches the surface of the cream. This keeps a film from forming on the top. Refrigerate until you need to use. Slice the tops off the rolls. Use a spoon to scoop out about 1/3 of the insides and reserve in a bowl. Break the marzipan into small pieces and put in the bowl of a food processor with the pastry cream. Process on high until the mixture is smooth. Then add the bread crumbs and process on high until the mixture is smooth. In a separate bowl (chill the bowl and whisk). Whisk the whipping cream, vanilla and powdered sugar together until stiff. Spoon the marzipan mixture back into the rolls until it fills the rolls just a little over the top of the scooped out part. Spoon whipped cream on top of the marzipan mixture. Then put the lids back on top. You might also like Raspberry Almond Tartlets from That Skinny Chick Can Bake. These look so tasty, my family would love them! Thanks for stopping by Laureen. They are definitely worth the effort! Wow, these sound incredible!! I’ve never seen anything like these, but would love to gobble up one….or two! Thanks for stopping by Liz! They are really good but one should fill you up!